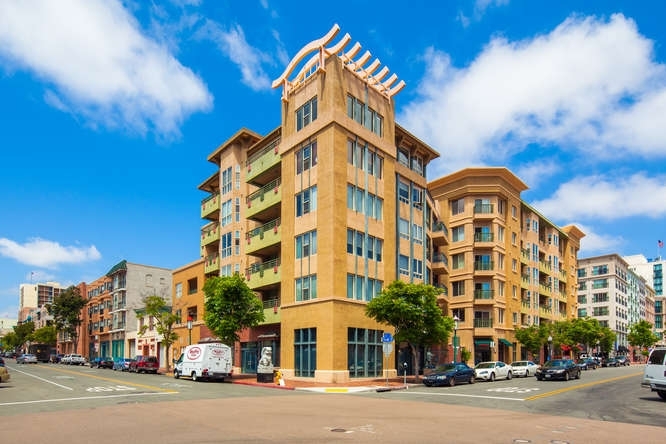 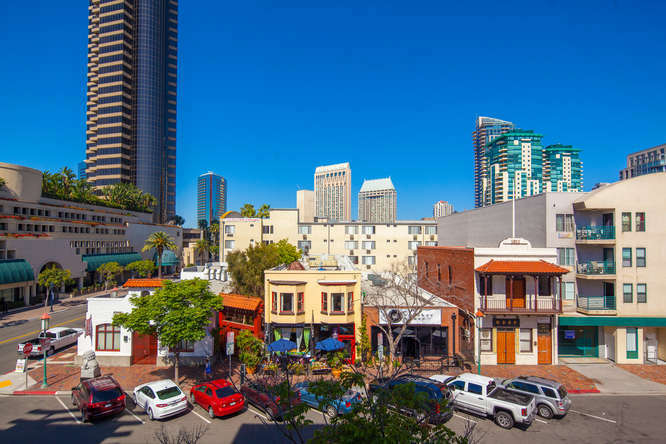 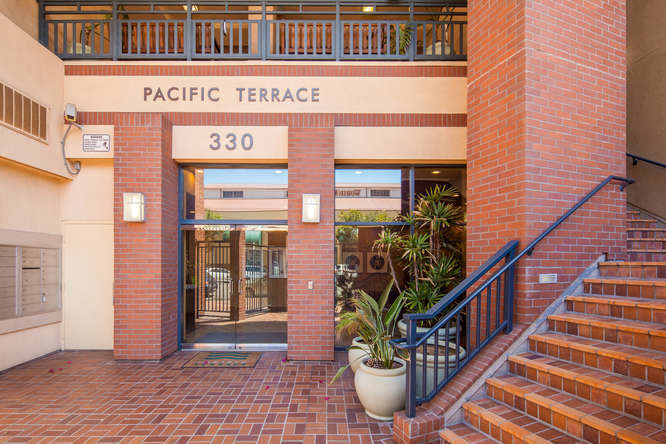 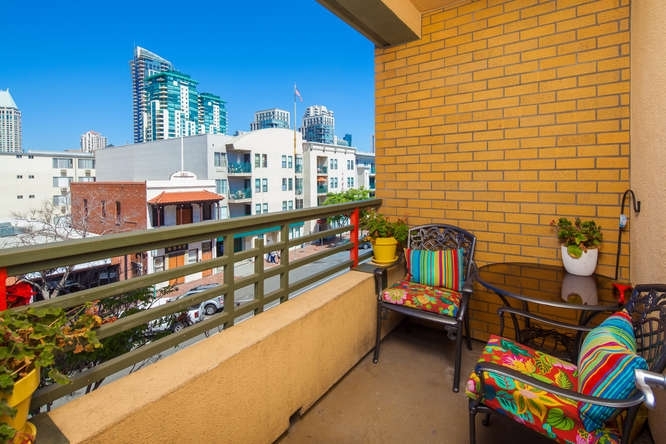 Pacific Terrace is a six story mid-rise building located on J Street between 3rd and 4th Avenues on the edge of Downtown San Diego Marina District and the Gaslamp Quarter. 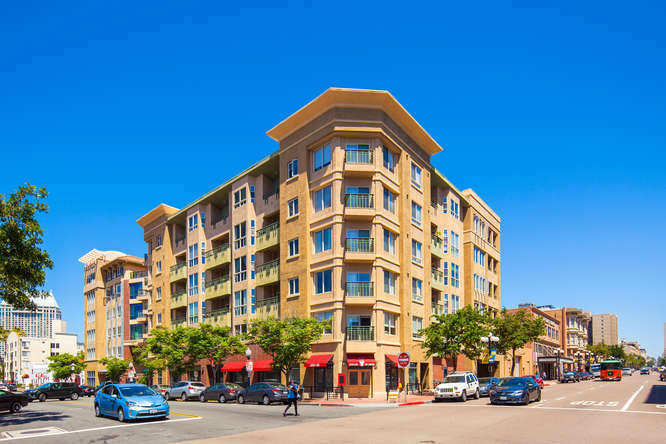 It was developed by Itracorp in 2003 and the complex contains 57 apartment homes and 6,000 sq/ft of ground level retail space which includes the Chinese Historical Museum. 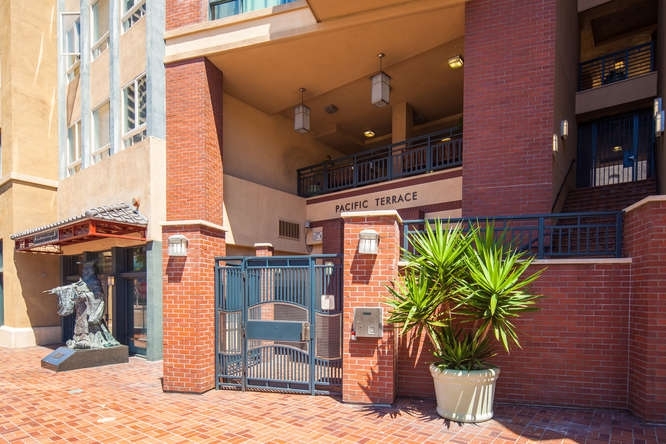 Pacific Terrace is adjacent to the Horton Grand Theater and is within walking distance to restaurants, Petco Park, the convention center and Horton Plaza. 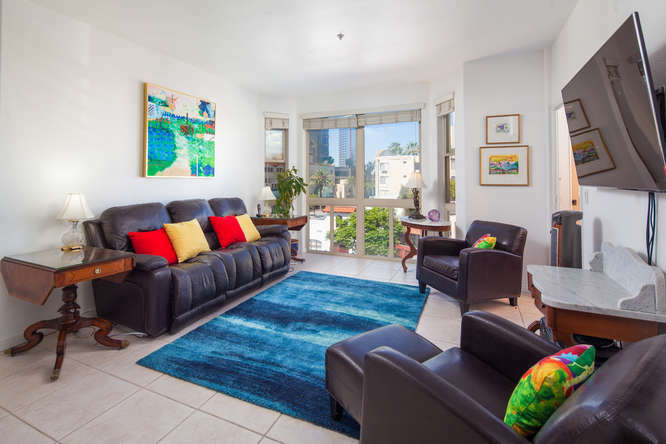 Condos at Pacific Terrace are available in 1 or 2 bedroom floor plans, some including a den and range in size from 600 to 1,250 sq/ft. 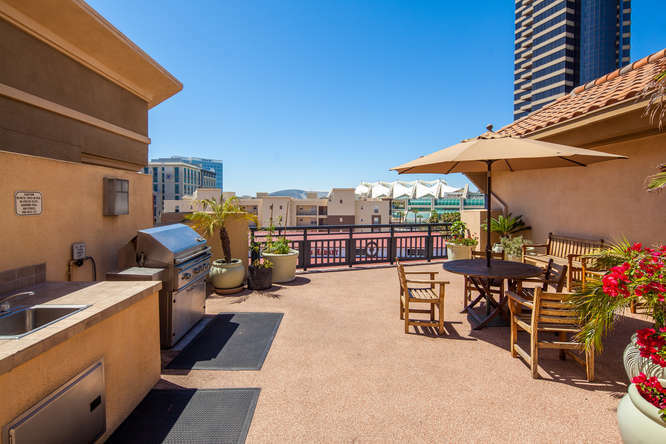 There is a lovely rooftop sun deck with BBQ, seating area, a cozy lobby and entry foyer. 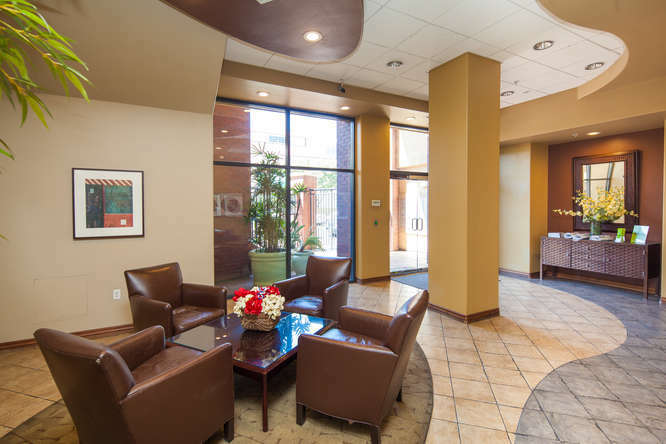 Given that there are limited amenities, the monthly HOA dues tend to be on the lower side and range from $265-$430. 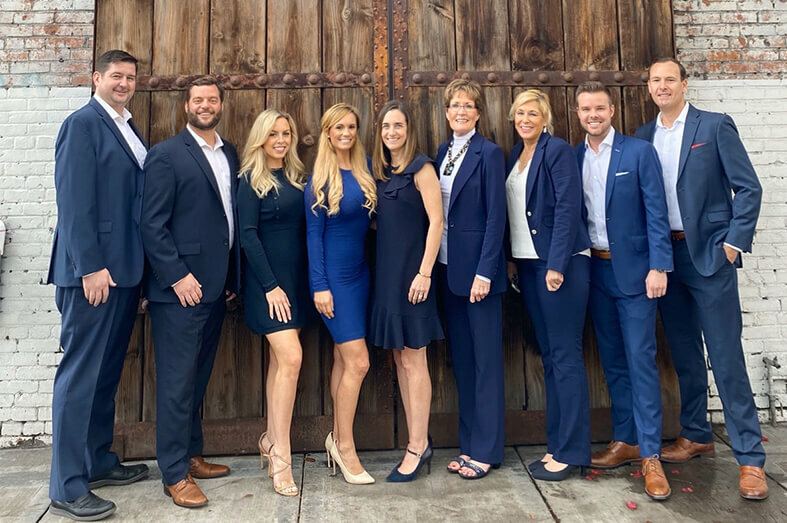 Management : Helm Management Co.